You may have seen your friends using 2 WhatsApp in one phone. A lot of people are using this trick to run 2 Whatsapp account on a single phone. Hence today we will share the trick to Run 2 Whatsapp in one phone. You may find many Fake applications on the Internet. Don’t download them as they might be fake. Below we will discuss some of the working applications that can add 2 Whatsapp account on your smartphone. Also, we will share the procedure to install and use these applications. Note that there are many apps available online that will say the same thing. But a lot of them are fake or are not Working. Hence we have only added those applications in our list that are working and are tested by us. Is it Possible to run 2 Whatsapp in one phone? The question that might be arising in your mind is that is that How is it possible to run Multiple Whatsapp account on a single Mobile? Is it authorised by Whatsapp or not? Will it affect my other apps and services or not? Will it require a Rooted smartphone? We will explain all these questions in details. 1: How is it possible to run 2 WhatsApp in one Phone? There are some applications available that can add 2 Whatsapp in one Phone. These apps comes with a feature to add multiple accounts and blocks the communication between them. In simple words your Whatsapp will never know that there is 2 Whatsapp account in your mobile. 2: Is it authorised by Whatsapp or not? Whatsapp never authorises to have 2 WhatsApp in one phone. So it is not authorized by Whatsapp to have 2 WhatsApp account. These apps are 3rd party apps and has nothing to do with Whatsapp. 3: Will it affect my other apps and services? No, it will not affect other apps and services. Your apps are safe. No, it does not require a Rooted smartphone. We will discuss the 2 most popular apps to run 2 Whatsapp in one phone. 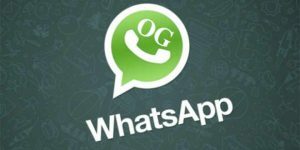 OgWhatsapp is one of the oldest and most trusted application. This application is used to add multiple accounts in a single phone. You can download this application by clicking the Download now button. 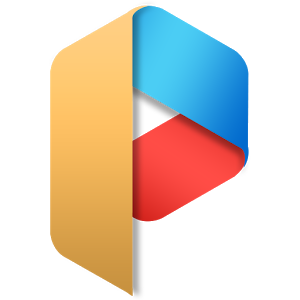 Download this app now. Note that don’t install this app right now. After Downloading this apk, follow the below steps to add 2 WhatsApp account. 1: First of all take the full backup of your Whatsapp. Backup your conversations and messages. 2: Goto settings> Applicatins> Whatsapp> Clear Data. This will clear your Whatsapp messages and conversations. You can later recover them from the backup your created earlier. 3: Go to /sd card/WhatsApp folder and rename it to /sd card/OGWhatsApp (use File viewer to do so). 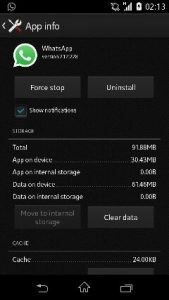 This step will create a new modded Whatsapp that can be used as a secoundary account. 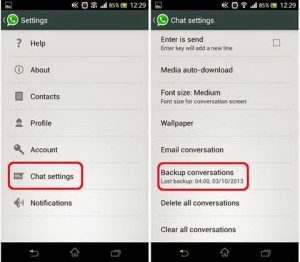 4: Go to settings and uninstall Whatsapp from there. 5: Now install OgWhatssapp apk that you downloaded earlier. It will ask for a mobile number. Give your Old mobile number on which you previously used to run Whatsapp. This Whatsapp is ready to use. This will run as a secondary Whatsapp in your mobile. You can now Download the official WhatsApp from Google play and link it with your new number. This will work as a primary Whatsapp in your mobile. 5: You have now two WhatsApp accounts on your mobile. One is official and second is in the parallel space. You can use both the Whatsapp simultaneously.